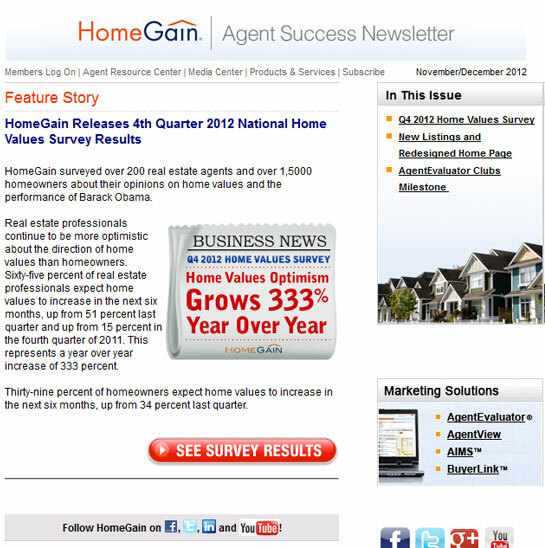 HomeGain has issued monthly newsletters for its member agents for over five years. One real estate agent is featured each month, detailing the agent's success with HomeGain programs. Other sections include Ask HomeGain, announcement of the newest members of HomeGain Clubs, HomeGain News, Success Tips, and more.